D Joiner, the second in our range of creative imaging products, is a new software package for panoramic and super wide-angle photo stitching. In keeping with our design philosophy D Joiner combines extreme ease of use with high quality results. For example: D Joiner will work with any ordinary wide-angle lens with no need for entering an estimate for its focal length, as D Joiner will work it out for you. Web designers can use D Joiner to generate extremely high quality panoramic images in cylindrical, spherical and cubic formats, which can then be published straight onto a web page. Professional photographers can use D Joiner to produce very high-resolution, ultra wide-angle photos with no lens distortion. Extreme wide-angle photographs without distortion or optical aberrations are now possible with D Joiner. Wide-angle photograph with no lens distortion. The cylindrical and spherical panoramas can not only be placed directly onto a web page, they can also be used with a wide variety of third party panorama viewers. 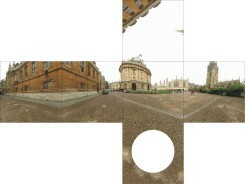 A number of examples of panoramas displayed via the D Joiner Applet can be found on the D Joiner examples page. 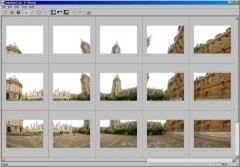 Some tips for panoramic photography for D Joiner can be found in the D Joiner tips section. D Joiner for PC (win 95/98/ME/2000) is available now via this website.